Rotation- Impenatrable defensive shield created by rotating and exerting chakra out of chakra point. Eight Trigrams Mountain Crusher-0-5m A focused variation of Eight Trigrams Palms Heavenly Spin, this jutsu sends a wave of chakra directly towards an opponent, more than enough to shatter rock. Eight Trigrams Empty Palm- This jutsu is similar in practice to Eight Trigrams Palms Heavenly Spin, but has a specific target rather than a general area. 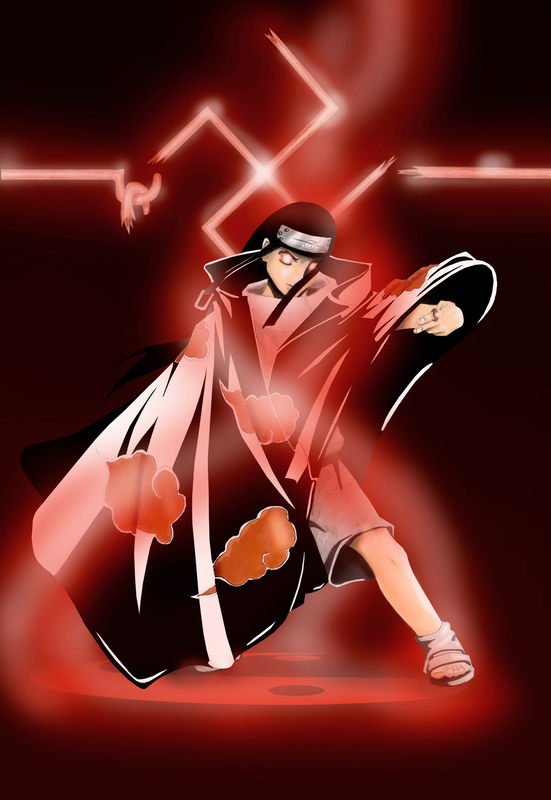 To perform it, Neji does a palm thrust, shooting a concentrated force of chakra out of his hand, to violently push the opponent away. Hyuga Main Family's Cursed Seal Technique- Seal used to block the power of the wearers doujutsu, Able to stop the rinnegan, sharingan and byakugan.range of almost fifty feet this technique can block the abilitys of any doujutsu. Will of fire - Given to him at birth he was endowed with chakra from the 4th Hokage which allowed him to obtain and master more jutsu than a normal normal ninja and allowed him to wield tremendous amounts of chakra. 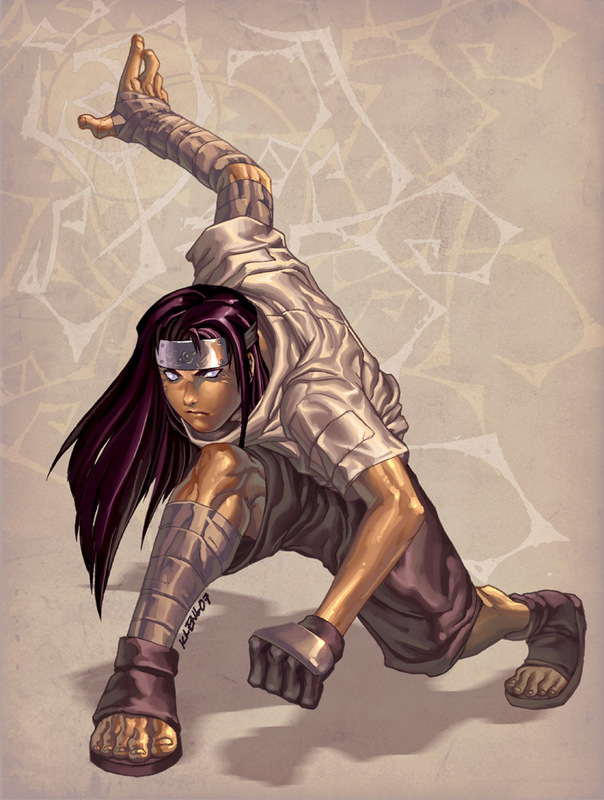 Gentle fist release- Arank- allows him to release his chakra in a variety of amounts and use it as projectiles. History: Raised in the konoha born of the hyuuga clan. Nemaru at birth was born as a premature baby in order to save his life the 4th hokage infused some of his chakra into him. This in turn gave nemaru the ability to master more jutsu faster than his peers and to posses a tremendous amount of chakra which grows as he grows. Nemaru was shown all of the secrect of the Gentle fist fighting style at the age of 9 years old( still in the academy) He mastered his Byakugan at the age of 12. He has never taken the chunin exams but has acompanied the Anbu black ops on many missions past the border of the leaf village he is very loyal to his home but feels that the goverment and the military within is becoming to corrupt. Nemaru wishes to join an organization after completing the chunin exams this organization may have a way to stop the corrupt goverment in the leaf and restore balance but they will need Nemarus help and his special abilitys along with his many alliences within the leaf village to do so. those are all family taught techniques he is basically neji , who could do those techniques when he was like ten he said he would take off the main branch seal to slim down his power. but as far as the techniques i have no problems. Antz already has a character that looks like him, change his appearance or he will never be approved.